Particularly impressive, especially the mitre caps. 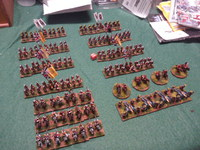 It’s time I gave my Austrians some mounted grenadiers. With mitre caps? Why not. Regiment Khevenhüller had them (if I remember it right). Austrians with mitre caps are a stuning looking aspect. 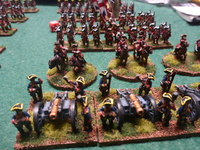 I like it to always include one base of Grenadiers, when I'm painting my dragoon Units. 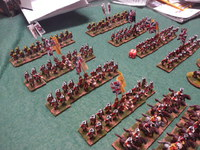 In large battles I can pull all of them together in one unit, what is looking terrific. As always, very nicely painted figures. 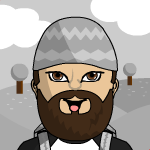 That’s what I would like to do. 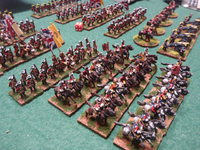 The British and Allied army so far. They will all join the tufty club in time. They look so imprsessive all together! I wish you have many enjoyable games with them! Cheers! 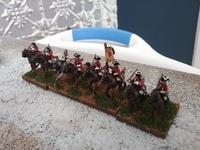 British 11th Dragoons now done. Not at Minden but I had the figures. One more nice addition to your growing collection! Eager to see them in action!